This class started in 2015 and has been developed after feedback from the gymnasts and parents. 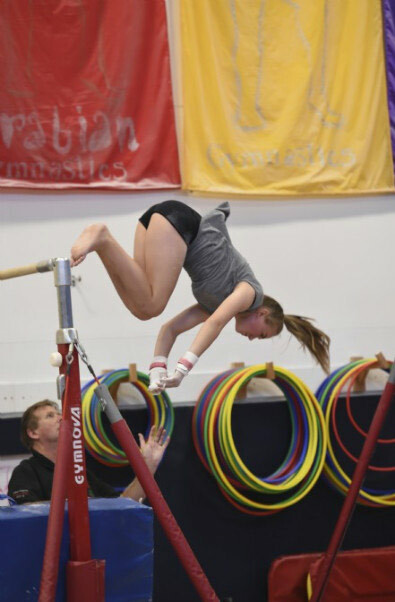 The older gymnasts are not always keen on doing all the pieces of equipment and wanted the option to choose what to focus on. This session allows the gymnast to come in for 90mins and if they want to spend the whole time doing tumble or beams, then they can. It is not a class of one to one coaching like our other classes. There will be a qualified coach present to assist if necessary. Gymnasts must be 13 or older and previous gymnastics experience is a requirement. It’s important to know that this class is for girls only and the viewing window will have the blinds closed throughout. This is because many older gymnasts have said they feel uncomfortable when members of the public watch and they prefer to have a bit more privacy. The session has a maximum of 16 gymnasts and is by invitation only.